CoD Black Ops 4 sees the long-running shooter series take a different tact this year, offering up a battle royale mode in place of a traditional capain. It still boasts a heft zombies mode, and the same PvP multiplayer action you've come to expect, though with a new focus on Specialists and abilities. Black Ops 4 is right around the corner, so we've pulled everything you need to know about the game into this Call of Duty Black Ops 4 Everything We Know Page. We'll cover the Black Ops 4 release date, when you can preload Black Ops 4 on PS4 and Xbox One, and the Black Ops 4 download size. For a look at Call of Duty Blackout, be sure to check out our CoD Blackout Guide. It's got links to guides on the Blackout Map, Weapons and more. Black Ops 4 is finally here, with is release date of October 12 finally arriving, and we now know exactly when you'll be able to play. The Black Ops 4 release time was obviously different depending on where you were in the world. These were all the Black Ops 4 PC Release Time below, sorted by region. Players were also able to play Black Ops 4 on PS4 and Xbox One at midnight if the game was pre-ordered digitally. You can check out more details on preloading Black Ops 4 below. Call of Duty Black Ops 4 is a pretty big download. On PS4 the Black Ops 4 download size is 51GB. It's worth noting that Blackout downloads first, and is 18GB. Once this portion of the game is downloaded you can start playing while the rest downloads in the background. Much like other Call of Duty games in the past, you can preload Black Ops 4. This basically means that you can download the game ready for launch well in advance. You won't have access to the game until release day, but it'll be ready to go until then. You can now preload Black Ops 4 on Xbox One and PS4, just head to the store and purchase the game. You will then get the option to download it. Nuketown: This fan-favorite map returns in an all-new take in November. Specialists: Prepare for a new character to debut in December with more to follow. Blackout: Launch day is just the beginning; this map experience will evolve. Be on the lookout for map updates, expansions and new Blackout modes. Once again, PS4 users will be getting all of the Call of Duty Black Ops 4 post launch content early, though it's not as bad as usual. The content will arrive seven days early on PS4, which is far lower than the usual 30 day exclusivity window. 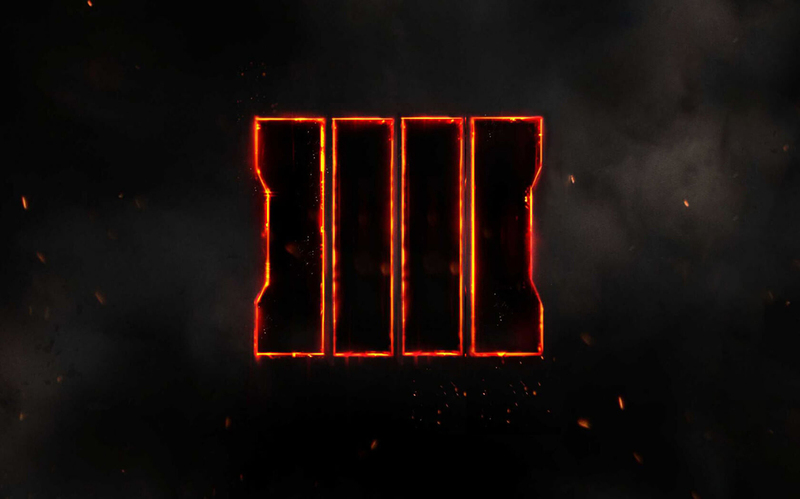 Call of Duty Black Ops 4 was revealed during a live stream and Black Ops 4 reveal event on May 17, 2018. During the event Activision and Treyarch revealed Black Ops 4 multiplayer, zombies, and a brand-new Battle Royale mode named Blackout. We've got all the key details and trailers for you, right here. Does Call of Duty Black Ops 4 Have a Single Player Campaign? As well as info on Black Ops 4's missing campaign, we also have some details on gameplay and other modes you'll find in the game this year. Black Ops 4 will not include a single-player campaign mode, but does include solo missions and Zombies can be played with bots - Blakc Ops 4 is largely multiplayer only with narrative elements weaved in throughout. 100 percent boots on the ground gameplay. No wall climbing, no thrust jumps. Weapons get a complete overhaul, with unique attachments for each gun. No automatic health regeneration in multiplayer. Manual healing through a health button, or via a medic. Three complete zombie maps at launch. "IX" "Voyage of Despair" and "Blood of the Dead" will all be available at launch. Custom Mutations lets players create custom rules for zombies, changing everything from health to zombie speed, and everything in between. New Battle Royale mode called Blackout. 100 players fight to become the last man standing on a map 1500 times the size of Nuketown. Will feature weapons, characters, land, air, and sea vehicles from over 10 years of Call of Duty series history. Black Ops 4 is coming to Battle.net on PC. In what must be one of the biggest shocks of this generation, Call of Duty Black Ops 4 will not include a single-player campaign or multiplayer campaign. While the lack of campaign is sad news for fans of the FPS who like to play the campaign each year, news of a Battle Roayle mode in Black Ops 4 (Blackout) is interesting. Treyarch has stated that it is aiming for 100 player count, far more than have been able to play CoD multiplayer together before. Blackout in Black Ops 4 has now been properly revealed, and the map makes use of some of the franchise's most iconic maps to build key areas for combat. Treyarch has also said that the mode will feature many of the characters and weapons see in Black Ops history, along with ground, see, and air vehicles. There's also zombies in Blackout, confined to certain areas on the map. We've gathered together everything you need to know about Blackout in our Call of Duty Black Ops 4 Blackout Battle Royale Guide. With no campaign to play through, Zombies is going to have to carry a lot of the storytelling found in Black Ops 4. The game will launch with three unique Zombies maps: "IX" "Voyage of Despair" and "Blood of the Dead". These are each very different, with IX set in ancient Rome, Voyage of Despair on the sinking Titanic, and Blood of the Dead built as a successor to mode in Black Ops 2. The Black Ops series from developer Treyarch began back in 2010, with Call of Duty: Black Ops depicting the story of CIA operative Alex Mason, as he attempts to recall the location of a numbers station, which is due to transmit orders to sleeper agents, who would then unleash chemical weapons across the United States. Hey, look, it's the Black Ops 4 logo. 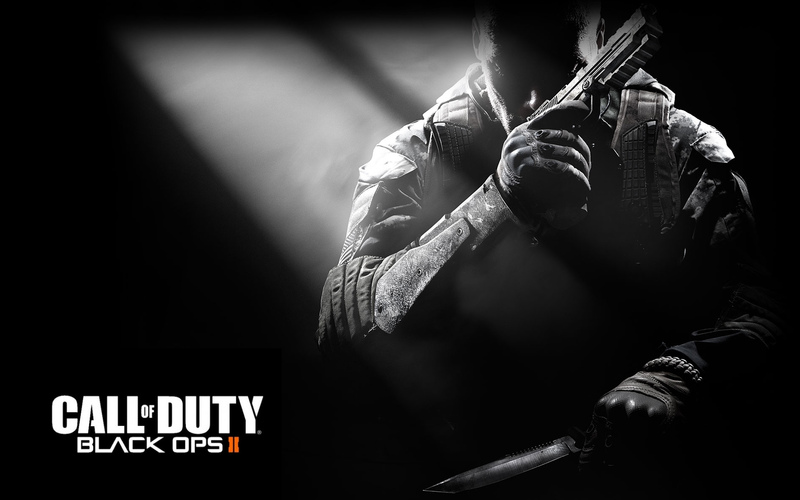 Two years later in 2012, Call of Duty: Black Ops 2 was released, and featured two parallel storylines: one set in the Cold War following returning protagonist Alex Mason, and another set in 2025, chronicling a second Cold War with Alex's son, David. Finally, Call of Duty: Black Ops 3 released in 2015, and depicted a world ravished by a third Cold War in 2065, forty years after the events of Black Ops 2. While Black Ops 4 doesn't include a campaign it does include narrative elements and is said to be set between Black Ops 2 and Black Ops 4. You'll see familiar characters for sure, and thanks to Blackout there's a feeling of greatest hits about the whole thing. Black Ops 4 Nintendo Switch Rumors - Are They Legit? While rumors have pointed to Black Ops 4 releasing on Nintendo Switch, this has yet to be verified by any trustworthy source. It is perhaps telling that Activision announced CoD Black Ops 4 without mention of the Switch, and a short time later Nintendo hosted a Nintendo Direct that didn't include any mention of Black Ops 4. A port of Black Ops 4 for Switch is possible, but it's looking increasingly unlikely. A beta for Black Ops 4 ran in early september, giving players a chance to try out a selection of maps and specialists from the full game.